Today at the monthly MLS meeting, we had a non county specialist come in from Urban Planning Concepts (UPC) and speak to us about Accessory Dwelling Units (ADU's). It was very informative. Here is the pearl of wisdom I came away with. Don't try and do this on your own! 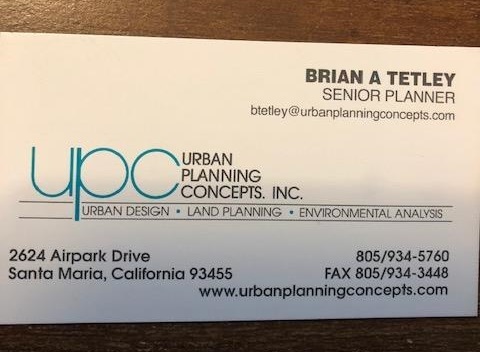 This company, Urban Planning Concepts, will help you navigate the choppy waters of the county and move the additional of a ADU on your property along to permit status. Their rates are very reasonable though the county fees are not so reasonable. Brian estimated around $5,000 in county fees to get an ADU permitted. UPC fees could be as little as $1,000 for something easy to over $10,000 for a more complicated deal. All that investment is worth it if what you build or convert will be a cash cow money maker in the long run or needed housing for a loved one. This guy really seemed to know what he was talking about in terms of what the county allows, what is possible (and not possible) and is a no nonsense straight to the point kind of guy. When you are talking about a project like this with the potential of spending and earning a lot of money, its worth it to work with people who get it and won't sugar coat the process or outcomes. It takes a team sometimes. Pick your team mates wisely. 2005 Kanin Hoj Road, Solvang (4/3 on .56 of an acre) 779K Wow! What a value! We are talking about 2700 plus square feet in an incredibly private and pretty location. Close to everything but tucked away on a little traveled street. I love the floor plan and it is clean and ready to occupy. The yard is nice. Sunny location though plenty of tree cover for shade in an easy care yard. For as large as this parcel is, its remarkably easy to maintain. A real favorite in this price range and a home to be proud of. See it. Listed by the Dave and Marlene MacBeth of Berkshire Hathaway. 1385 N Refugio Road, Santa Ynez (4/3 on 4.7 acres) $1,695,000 I drove in through the gated entry and saw the ducks and chickens loving the sprawling lawn near the barn. I walked into the house and was inspired by the views of the fantastic vineyard beyond the big double doors to the back yard. The house is in beautiful condition with a nice open floor plan. If you are into having your own vineyard and want to avoid the expense and unknowns of planting your own, this is a good way to get everything in one neat package. Nice house. Usable land. Sangiovese planted vineyard. Done! Listed by Bob Jennings of Berkshire Hathaway. 1880 Mora Avenue, Santa Ynez (main house, 2nd residence and horse facilities on 26+ acres) $5,900,000 If you have ever driven out here in the big view Mora/Baseline area, then you have passed this one of a kind estate and marveled at its special character. All flat and usable with big views is a hard to find combo anywhere but especially here. Its only found predominantly in certain locations like the Roblar and Baseline corridors. Single story for those wanting to enjoy their home now and always. These are some of THE most well done cement floors I have ever seen. Wow! A beautiful combination of California ranch style, modern farmhouse and a sprinkling of Mediterranean. Super cool and memorable. Listed by Carey Kendall of Village Properties. 1630 Fredensborg Way, Solvang (3/2 on 5 acres) Was $1,039,000 with a new price of 980K. Listed by Allan Jones of SYV RE. 4102 Casey Avenue, Santa Ynez (main house and full guest house on 5+ acres) Was $1,299,000 with a new price of $1,269,000. Listed by Claire Hanssen of Berkshire Hathaway. 2829 San Marcos Avenue, Los Olivos, CA 93441 (main house plus studio on .16 of an acre) Listed at 714K and sold final for 685K. Started out back in 2006 with a high price of 865K and was on the market several times in between. Sold for 96% of present asking and 79% of the highest asking since inception. Listed by Jodi Williams of Coldwell Banker.